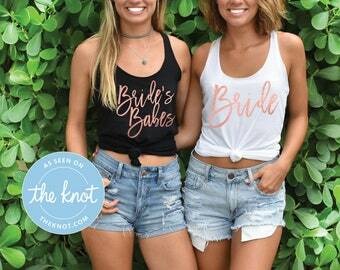 Our Best Selling Shirts, now come in a variety of different styles and saying options! 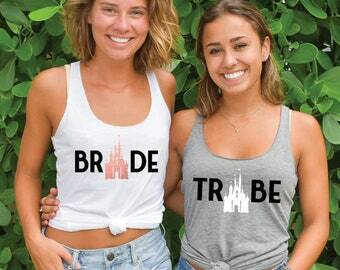 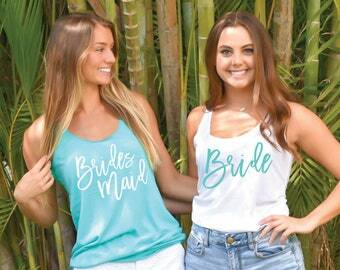 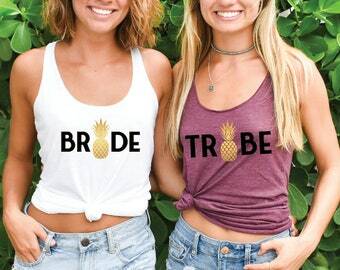 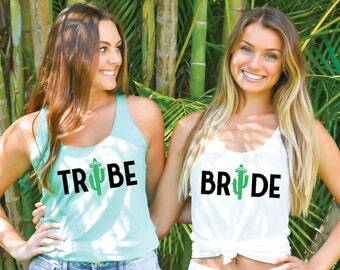 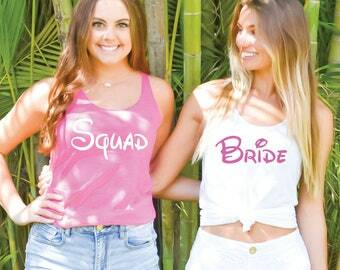 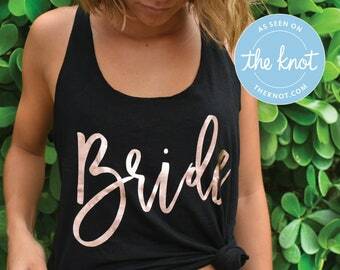 Matching t-shirts/tank tops are a must have for any bachelorette party and bridal party get together. 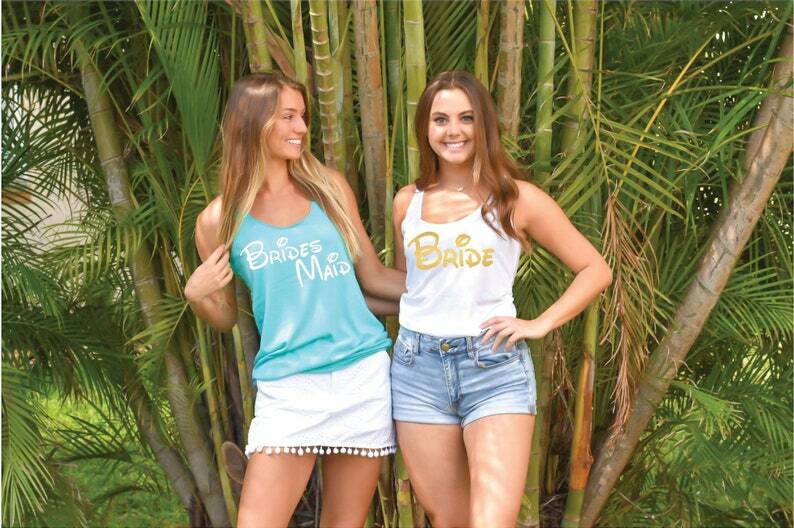 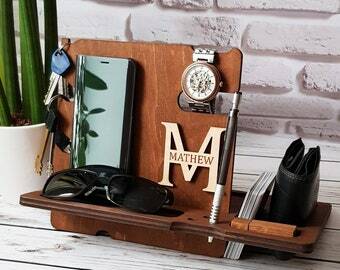 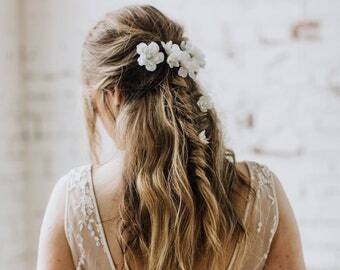 Show everyone you are there to celebrate the Bride to be and stand out in a crowd! 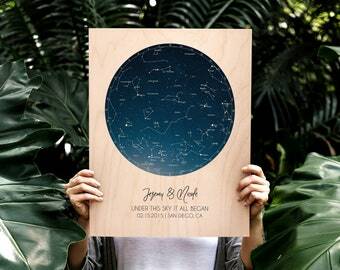 Please scroll through all listing photos to get complete details. 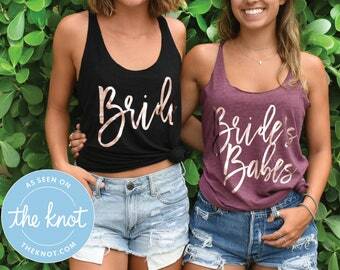 Fabrication: 50% poly 25% Airlume combed and ring-spun cotton 25% rayon, 40 single 3.8 oz. 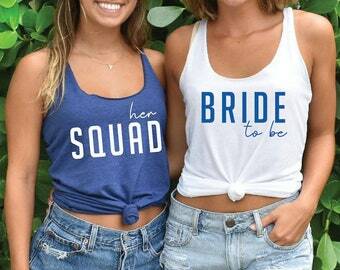 Super Cute, excited for my friends wedding!